This morning I awoke to the pitter-patter of rain as it hit the window panes of our tiny mountain home. Autumn foods are my favorite foods – sweet, rich, comforting, full of spice and warmth. I’ve poured through my cookbooks and favorite blogs for new recipes I can’t wait to try as well as old favorites that will surely make their way to our table again, and I thought I’d share them with you. And if you’re a meal plan subscriber, there’ll be plenty more warming autumn recipes to round out your family’s dinners all season long (check it out here). 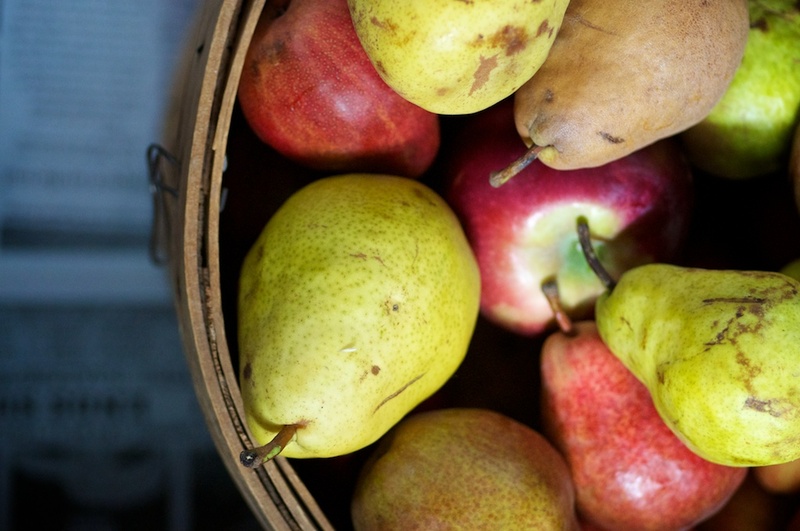 Each autumn, I head to the farmers market and purchase cases of apples and pears. We eat our fill of the fresh fruit, and cook down the rest with sweet cider to form a simple sauce that I serve in the winter for dessert or for snacks. Get the recipe here (there’s only three ingredients). These pumpkin date scones from Healthy Green Kitchen look amazing. I’ve always loved dates – sweet and gooey – and find that they’re pair beautifully with pumpkin. I order a case of butternut squash each fall. I rub each squash with oil and store it in a cool closet or in the cellar. Stored this way, the squash will keep from October through the end of April. 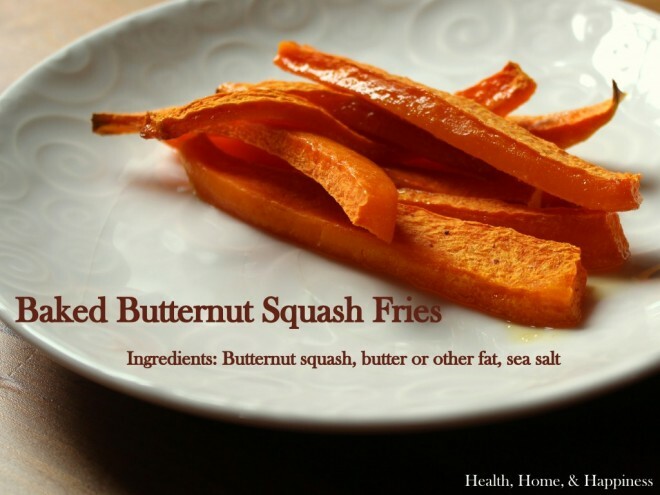 I prepare butternut squash soups, roast the squash and make souffle, but I also love butternut squash oven fries. Get the recipe from Health, Home and Happiness. Wholesome, nourishing and filling, lentil stew satisfies our bellies on the coldest days of autumn and winter. I cook the lentils in bone broth with winter vegetables, stir in winter greens at the end and season the soup with olive oil and balsamic vinegar. You can get the recipe here. My family loves my Baked Oatmeal Recipe. I make it on the weekends, and it can feed us all week long as we cut a square off for breakfast and serve it with easy raw milk yogurt. 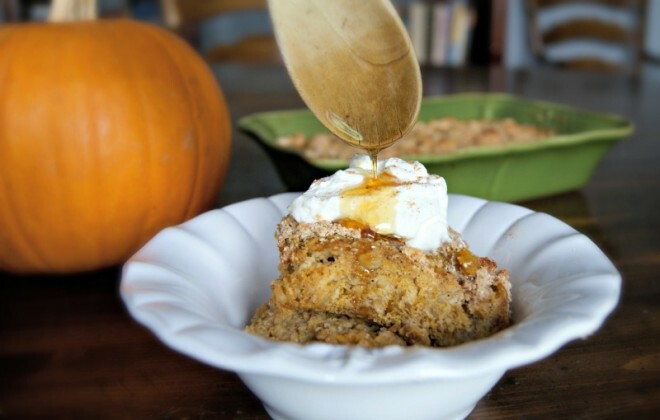 But I love this version of Pumpkin Pie Baked Oatmeal from Mommypotamus, and can’t wait to give it a try. I bake often in the colder months, not only because it’s a process that calls to me, but also because baking helps to warm the bare bones of our old home. One of my favorite pies to bake in autumn is Maple Vanilla Pecan Pie, and I serve it each Thanksgiving. With boxes of heirloom squash in my root cellar, I’m always looking for new ways to serve the cold weather favorite, and this Stuffed Squash Recipe from My Humble Kitchen looks amazing. 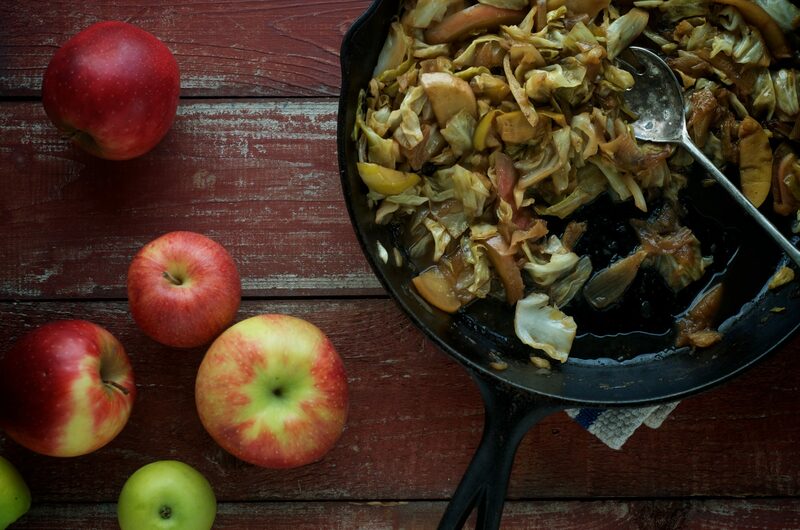 I also make Cider-Braised Cabbage and Apples each autumn. It’s impossibly simple, excellent served with roast pork. And it’s easy to double. I’ve even made it for crowds of 300 revelers at our local harvest feast. Read more about that here. 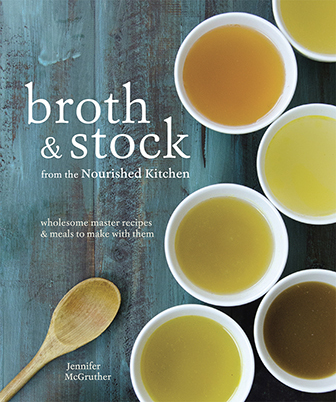 Wow Jenny, I came right over looking for some new recipes and was super humbled that you included one of mine. Thank you so much. I’m going to be trying those scones from Winnie. They look amazing! I LOVE your site, Diana! And I’m really looking forward to trying the recipe. I love your photographs! Do you take them yourself? Yes; however, the pictures above belong to their respective owners/bloggers. What kind of oil do you rub your squashes with? I typically use olive oil. I am after a recipe for a middle eastern style flat bread, i’d like to use coconut flour if possible. 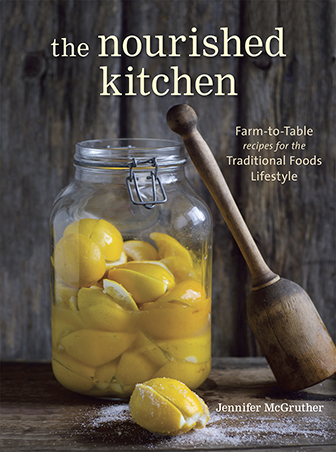 I’m not familiar with any recipes, and I would make a flat bread from einkorn flour. Maybe try google? Great fall recipe round up…thanks for including my scones, Jenny! Oh pears! I love all things fall, especially the food and flavors. thanks for sharing your favorites.